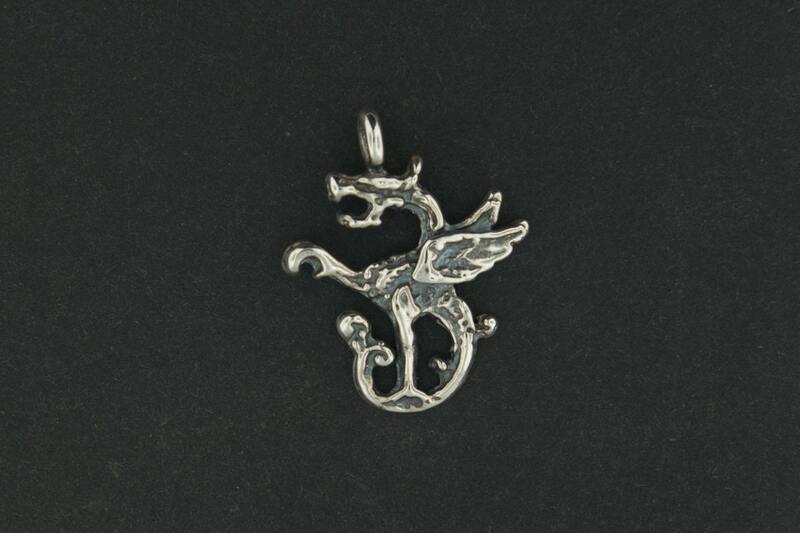 This dragon charm is made in sterling silver and is 2.5 long and 2cm wide and the loop on top has a 3mm opening for a cord or chain. It's a very solid piece that can easily be worn everyday. He Is inspired by my love of fantasy and dragons, and is perfect for a charm bracelet! I love the design and detail of this dragon pendant. I would point out that the bail (loop) at the top is rather small. I had to use my jewelry pliers to squeeze the circle on the end of my chain to get it to go through.